Whether you’re taking your other half on a romantic date, or getting together with some mates for a much-needed catch up, Valentine’s Day is about surrounding yourself with the people you love. 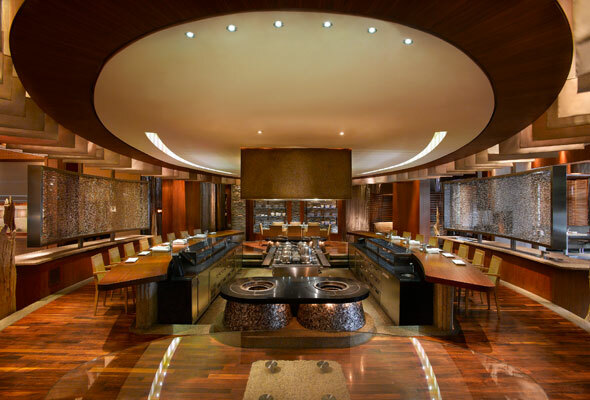 But you don’t need to max out your credit card in order to indulge in some luxury – the Grand Hyatt Dubai has a selection of dining options perfect for spending quality time with someone special. The setting is perfect for romance, with candles to create moody lighting and the smell of herbs and spices wafting from the kitchen. Expect some Indian favourites like Pani Puri, lentil dumplings, braised lamb, and tandoori chicken on the set menu. Set menu Dhs180 per person. If the way to your heart is through your stomach, then it has to be Italian cuisine. 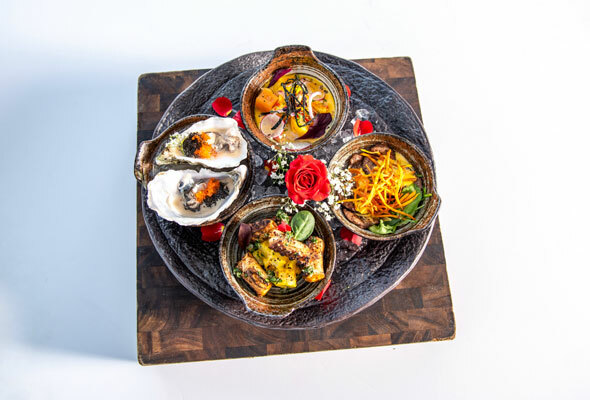 Andiamo’s Valentine’s Day set menu is the perfect way to say amore, with a delicious oyster with salmon roe and lemon foamamuse-bouche, followed by five courses. Set menu Dhs250 per person. This fusion of South American culture and a New York grill vibe makes for the ideal spot for meat-lovers. Start with a sharing platter before getting stuck in to the main event. Grand Angus tenderloin, sea bass, and a goat cheese, spinach and strawberry bake are all on the set menu, so make sure you arrive hungry. Set menu Dhs320 per person. Enjoy a traditional Arabian setting, complete with a tent-style ceiling. Guests have the option of dining at a candle-lit table on the terrace, overlooking the hotel’s stunning gardens, or inside where live entertainment will include a singer and belly dancer. The authentic Lebanese set menu will include all the favourite hot and cold mezzes, mixed grills, and delicious sweets.